Whilst each individual cottage has its own guestbook on their cottage page here are just some the lovely comments and amazing feedback we have received from guests who have stayed in our cottages. We encourage all of out owners to provide a guestbook and have taken these comments directly from these books. 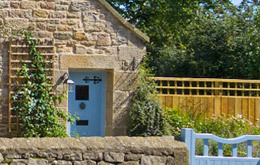 We hope this will give you a small insight in to what people have enjoyed about their stay in each of our very special cottages and why we have so many returning visitors each year. All the family loved staying here. The children have enjoyed the garden and feeding/watching the birds.The mobile wood fired pizza van which called at the village play area on Wednesday was a huge success! Crag side is a must. We love Northumberland! We have really enjoyed our stay the house is so beautiful we didn't want to leave Hopefully we will be back soon! Lovely warm entertaining home.Delightful week in a super location Thank you. Great few days in a gorgeous property with great company.Thank you! We spent our fist family holiday with the two new babies in your warm, lovely home. We loved Swallows End and all the lovely touches,bedding ,ornaments, kitchen accessoriesetc.Fiona loved the horse too! We all chilled out,laughed and enjoyed visiting the area. "Beautiful cottage near beach Northumberland Coast, great location, stunning beaches. We had a great New Year getaway in this fabulous cottage. The location is great for exploring the local Northumbria coastline and the walk down to the nearby beach was a joy. 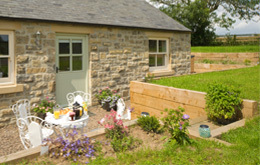 The Cottage has been renovated to a very high standard and was faultless. The owners Harvey and Carole were lovely. They met us when we arrived , gave us a super welcome pack and even provided some toys for out littlies. We had a great time during our stay and all agreed we had fallen a little bit in love with the area and will definitely return. Highly recommended." What an amazing house! We loved it and the children loved Lola. You had catered for our every need which is no easy feat with a family of 5 .Thank you so very much we could not recommend Swallows End enough! We have enjoyed staying in this very special cottage - thank you so much for all the thoughtful touches and your kindness. Today we have been on Sugar Sands in brilliant sunshine - beautiful. We would love to come back soon. My partner and I stayed in this super cottage for a 3 night break beginning of March. The cottage we booked was the smaller of the two as we wanted romantic break. This cottage is of excellent standard and has everything you need, the furnishings are well cared for and the layout of the cottage is great. We loved the welcoming touch from the owners of the wine and chocolates, all reviews we read in the cottage guest book are of great value and a credit to the owners. The larger of the cottages looks well furnished and of the same high standard as the smaller cottage. 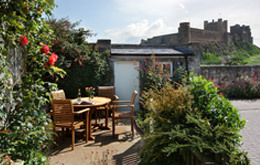 The cottage is well situated and there is a bus top to the train station, Newcastle and alnwick at the top of the drive. The coastline nearby is beautiful and you can walk for miles through along the coast to the neighbouring villages. This is a little Gem of a cottage and we would highly recommend it to all couples and small families, if you have a larger party the larger cottage is more suitable. Both cottages are not suitable for Pets. 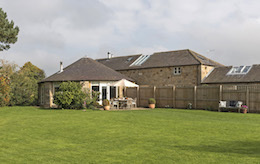 Truly 1st Class, We spent four nights at Midwood Cottage in april and are hoping to return in September. We enjoyed our short stay in the cottage and loved the village and surrounding area which ahs so much to offer. 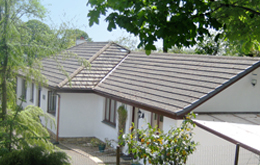 It is a quality property with every comfort of home and we would not hesitate to recommend it to anyone. Truly the best holiday cottage we have ever stayed in. Facilities, equipment and welcome package all made us very much at home. Superb location. First impressions were fantastic - from "kerb appeal" through to all the furnishings - soap! candles! logs! tissues! Absolutely spotless inside and outside and very well kept. Can't fault anything and I'm picky!! Great few days in a gorgeous property we have loved staying here Thank you !